James Marvel's drum and bass career began as a DJ, but his career in music spans back to his early childhood when he learned guitar and saxophone, later studying piano at the Ghent & Brussels Conservatory. Before making the switch to electronic music, James Marvel aka Jens Blaute, played keyboard with several bands in Belgium and Holland. Taking inspiration from drum and bass producers such as Ed Rush & Optical and Bad Company, James Marvel quickly caught the attention of industry heads, releasing several singles on Drum and Bass labels, Ammunition and Titan before collaborating with Shimon on 'Ice Block' for AudioPorn's 'Transitions' LP. In early 2013, along with Dodge & Fuski, Teddy Killerz and Tha New Team, James Marvel was selected to provide a remix of Xilent's massive video game inspired single 'Boss Wave' for the 'Boss Wave: Reloaded' remix EP, released by AudioPorn. Marvel perfectly preserved Xilent's original, whilst also showcasing his own distinctive drum and bass style and even wrote a piano score of the original. Marvel's remix raced up the Beatport chart and was selected by Drum & Bass Arena to feature on the Drum & Bass Arena 2013 Compilation. Set to release his debut 'I Am The Robot' EP on AudioPorn in August, James Marvel perfectly showcases his versatility and technical brilliance with five stunningly crafted neurofunk and liquid drum and bass tracks. 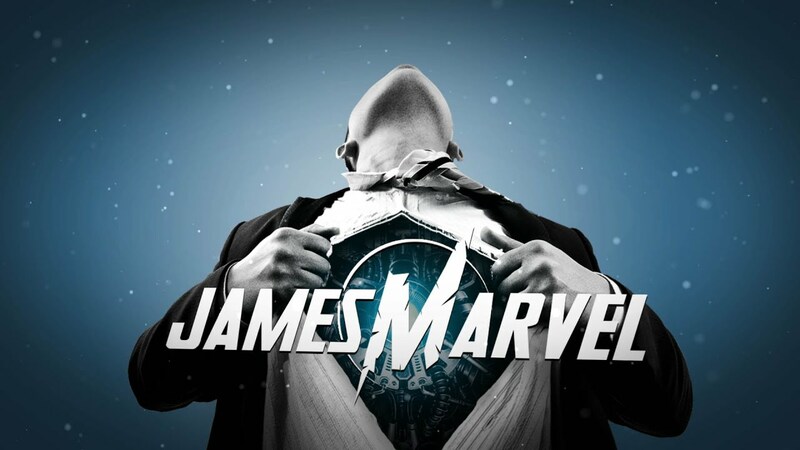 With performances lined up from underground drum and bass raves to this year's Tomorrowland festival and with his brand new EP coming out on AudioPorn, James Marvel is ready to tear through the fabric of bass music and is fast establishing himself as a producer and performer to watch out for.